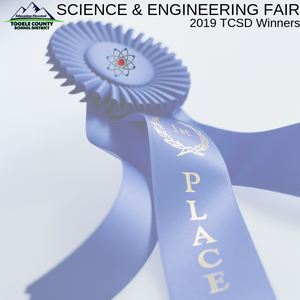 Congratulations to our 2019 Science and Engineering Fair winners! Around 140 projects from Tooele County schools made it to the district competition and about 50 will be moving on to the state-level. Each project had to be reviewed by three separate judges. Thanks to the volunteers who helped judge and calculate results. Below are the names of the students that will be moving on to the University of Utah Science and Engineering Fair on March 12th-14th.